Sydney and Melbourne are separated by 870 kilometers, which is a long distance to travel with cargo. The drive takes around 8 hours and the entire trip can easily take over a day, which is a waste of time and resources. At Fast Removalists, we recommend hiring professional removalists to help you with the task. 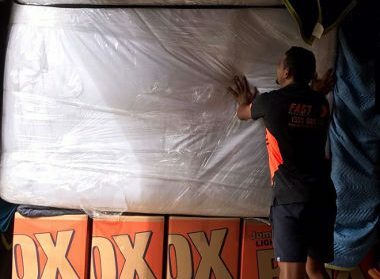 We provide expert interstate removals and backloading Sydney to Melbourne services so you don’t need to spend valuable time and effort on the task. Our team will take care of your cargo and make sure it reaches the destination in a good condition. What Do You Need to Know about Backloading Sydney to Melbourne? Full-scale removal services include hiring one or more moving trucks to transport cargo from one city to another. This is a good option for clients who want to transport a large amount of cargo at once. For example, clients moving from one two-story home in Sydney to another in Melbourne will have a lot of possessions to transport and at least one full truck. But that’s not always the case as some clients only need to transport one or two items at a time. For example, a client selling an armchair online might not need an entire truck to transport the furniture item to the buyer. Clients can save money on the transport by hiring our backloading removals Sydney to Melbourne. Instead of paying for the entire moving truck, they can just pay for the portion of truck floor space they use. This allows clients to share the cost of hiring a truck with other clients on the same route. Backloading is comparatively affordable and convenient, and there’s always a truck available so clients can easily book the service when they need it. 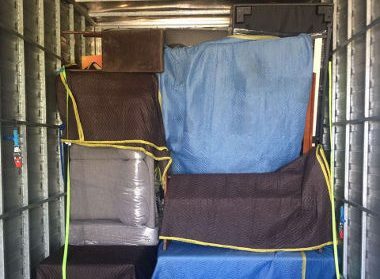 You get cheap backloading removals Sydney to Melbourne – Regular removals from Sydney to Melbourne are relatively expensive because of the time, effort, and fuel involved. Backloading is affordable because we aim to fill the empty returning trucks and can provide this service at a much lower rate. This benefits the clients because they can get their cargo to the destination without paying for the entire truck. 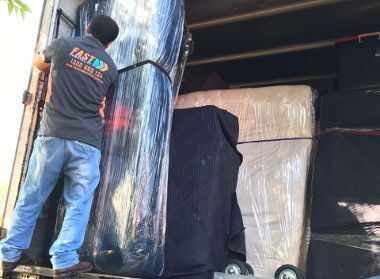 Environmental benefits of hiring backload removalist Sydney to Melbourne – The empty trucks on return journeys from full-scale removals are already burning fuel and adding to the traffic congestion on the streets. By using the backloading service instead of regular removalists services, you reduce emissions as there’s no need for another vehicle to ply the same route for the same purpose. If a large number of people start using backloading services for small removals, they can help reduce traffic, emissions, and related negative impact on the environment. 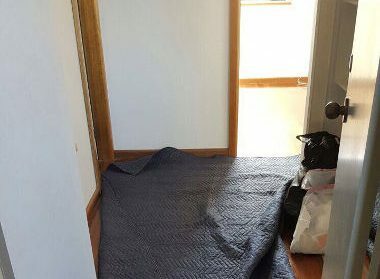 Affordable and safe interstate removalists Sydney to Melbourne – Our services might be affordable, but there’s no compromise in quality. Our removalists will still make sure all items are loaded carefully and transported to the destination without damage. Our backloading team will consist of an interstate and a furniture removalist to ensure there are no problems and delays. 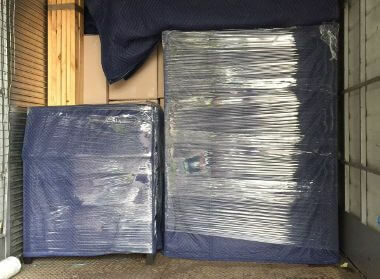 Backloading interstate removalists Sydney to Melbourne – This service involves picking up packed items from your location, loading them onto the moving truck, transporting them to the destination, and unloading them. As experienced backload movers, we are familiar with the process and can carry it out meticulously. Our team has handled several interstate removals so they know how to keep track of all items over a long distance. Backload furniture removals by certified removalist – Backload furniture removals can be challenging because these items are difficult to carry and load. Our experienced removalists will use different tools like ramps and trolleys to make the job easier and ensure the items aren’t damaged. Our furniture removalist team is well-trained and experienced so they know how to handle furniture pieces. They can also offer advice on packing solutions. Why Are We the Best Backload Moving Company? We’re licensed and certified backload movers with an experienced interstate and furniture removalist team. We have handled several backloading jobs over the years and are very familiar with the process. We also adhere to established industry standards so you can trust us with your possessions. We have a great team of removalists and customer care experts who can help you plan your budget. They will provide comprehensive backloading quotes based on your requirements. These quotes will have no hidden costs so you don’t need to worry about unexpected expenses. We also have an informative website with an interstate moving cost calculator. The tool will provide a rough estimate of the backloading costs; it helps you plan accordingly and have a good idea of what kind of expenses to expect. All our interstate removalists Sydney to Melbourne have insurance and all services are covered, included backloading. If any item is lost or broken during the removal process, the insurance will cover the costs. Our backloading removalists will pick packed items from your location and load it into the truck. They know how to keep track of cargo from different clients so you don’t have to worry about them being misplaced. We at Fast Removalist offer convenient backloading Sydney to Melbourne services at low prices. 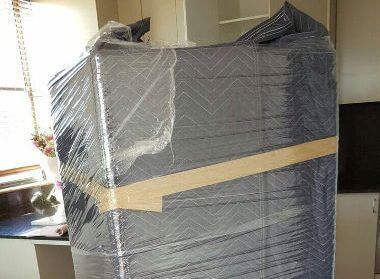 If you want good quality moving services provided by experienced backloading experts, don’t hesitate to give us a call. Our removalists are well-trained and experienced so you can rely on them to transport all items to the destination safely.